The company achieved the design excellence milestone with recent recognition from two prestigious organisations. The Crown SC 6000 Series forklift and Crown PTH Work Assist® System both earned GOOD DESIGN™ Awards from The Chicago Athenaeum: Museum of Architecture and Design and the European Centre for Architecture, Art, Design and Urban Studies. The competition jury honoured these vehicles for high-quality design in the industrial category. This recognition marks the 15th GOOD DESIGN Award for Crown. 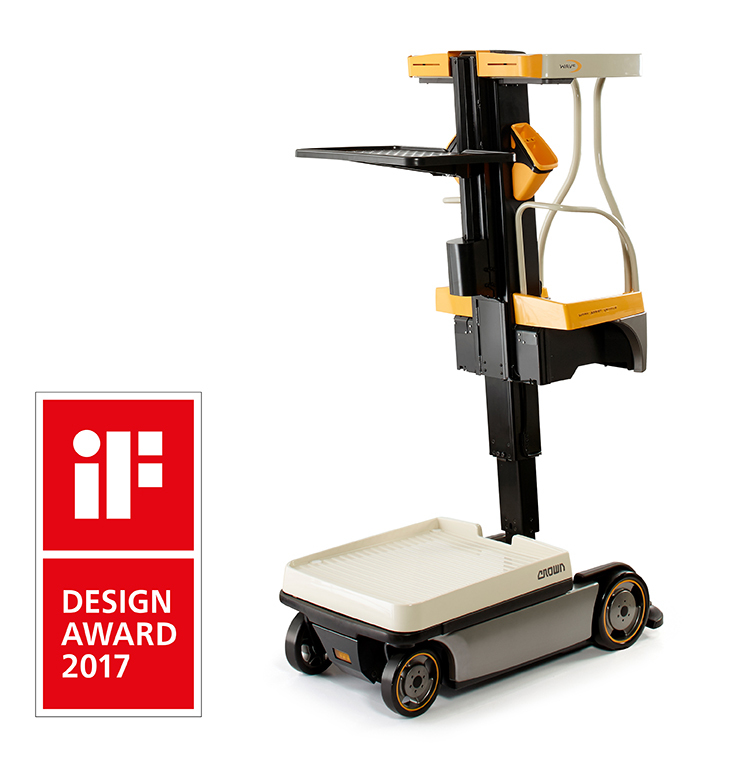 The Crown WAV 60 Series order picker won an award from the iF International Forum Design in the “Automobiles/Vehicles” category. The Crown SC 6000 Series forklift is equipped with a fully adjustable, suspended seat for long-term operator comfort, even when working punishing 8-hour shifts. It was also designed for frequent entry and exit with a low, anti-slip step height and conveniently placed grip handles. The slim steer column features infinitely adjustable angle settings so that all operators can achieve a custom fit. Even the steer knob has a wear-resistant, cleanable surface with soft-grip inserts that provide day-long comfort. The Austrian logistics provider Gebrüder Weiss Gesellschaft m.b.H. was one of the companies that field-tested the new Crown SC 6000 during the forklift’s development. The Crown PTH 50 Series hand pallet truck is capable of moving palletised loads of up to 2,300 kg. It is currently used in a wide variety of material handling applications. The Work Assist System expands its utility with useful storage features and a foldable load tray which allows operators to position paperwork, tools and boxes at comfortable working height so they bend over less frequently and maintain a faster pace during stock handling applications. The Crown WAV 60 Series order picker is designed with features to help achieve a greater level of safety, efficiency and flexibility in situations where ladders are typically used to access high storage locations, such as those found in retail and manufacturing applications. Better known as the Wave®, the Crown Work Assist® vehicle is ideal for workers receiving, shipping and stocking/shelving small loads and products in busy, confined spaces, as well as order picking and order fulfilment. It can travel and lift simultaneously allowing operators to move efficiently around a facility while raising and lowering to the appropriate heights in one smooth and seamless operation. The on-board operating system ensures optimum performance and control through intelligent coordination of operator prompts, lift/lower operations, steering and braking, performance levels and other vehicle systems.